PS- Only 60 days until Halloween! And Happy Birthday to our resident 365 Halloween zombie, Sean! 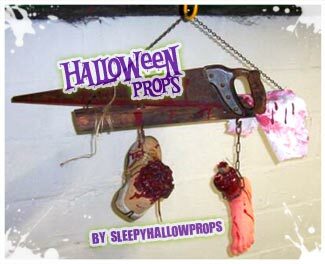 Subscribe to comments with RSS or TrackBack to 'Halloween Props for Fun and Profit'. Just found your site today. Love it! I just love that a high school student had this idea, and if your photo is any indication he’s got great creativity. Fiendishly clever!